· Renewed pressure from the SNP in Scotland for another Referendum on full devolution – and if they achieved this – then they would want to re-join the EU (though it would be difficult considering the Scottish finances, particularly now oil revenues have crashed). · A period of high uncertainty – the stock market would drop and spending levels and confidence would drop. · The EU may put in punitive trade barriers and tariffs – a rather vindictive measure. · Sterling would drop – because of the uncertainty – and hence inflation would rise as goods and energy (oil and gas) from abroad would become more expensive. · London would likely weather the storm better than most other regions because it is less reliant on EU funding, and the City of London would be free from EU legislation that has held back many parts of the financial services industry for many years. London would become more of an “offshore tax haven” and the Tory government may choose to attract foreign capital by giving tax breaks for wealth international investors to settle in London rather than the EU. · As Sterling declined, property would become cheaper for the international super-rich – and luxury London property prices could even increase because of this. · Property prices in the provinces – especially in remote depressed areas that rely on EU funding for infra-structure projects – would see prices drop, as confidence dropped. Scotland would be particularly badly affected. · After a year or two of uncertainty, it’s likely the UK would re-adjust and could actually prosper long term off the back of international trade areas outside the EU, with Commonwealth countries, the USA and become more of a boutique financial centre. · We don’t believe many banks would re-locate their head offices, because international bankers love living in London. They simply don’t want to live in Hong Kong, Singapore or Frankfurt. London has everything – culture, fine food, theatre, tube/rail, super houses, tourist attractions, top schools, top Universities, parks, scenery, a temperate climate and people speak English. New York is the only real competition and most people prefer to live close to work in West London – rather than in some high-rise apartment in the Big Apple. 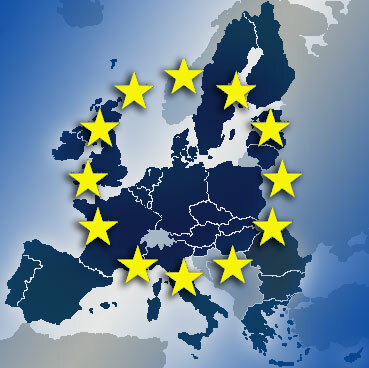 · Levels of regulation, barmy laws, interference from Brussels and bureaucracy would drop – less red tape. · Refugee camps would indeed move from Calais to Kent – e.g. Dover – (not a good idea to invest in Dover property at this time). · There would be less immigration – primarily through lower levels of Romanian and Bulgarian people arriving in the UK. Because of the lower levels of immigration, wages would probably rise – as there would be less low cost labour supply. Wage and general inflation would increase because of this – hence building costs would rise. Because of this, and Sterling dropping – interest rates would have to rise to significantly higher levels as compared to still being in the EU. This would then suppress house prices – general inflation and higher interest rates is not good or house prices (asset prices). · Import prices would rise and export prices would drop – manufacturing competitiveness in the international arena likely rise slightly – particularly products with low import costs. Voting Demarcations: We think most socialists and liberals will vote to stay, with many people in SE England voting to leave – mainly concentrated on the right wing Tory voters and UKIP voters. Rural areas and northern, Scottish and Western areas are likely to vote to stay “in”. So overall, even though there is a lot of sounding off from the “out” campaign, we think there are too many people living outside London that will vote “in” – although it will be a close call. Avoiding War: We also think the older voters are more likely to vote to stay in – primarily because they recall the ramifications of Europe to start the European integration project. People that still believe this is a valid reason to stay in – tend to be the older people. They are also far more likely to vote. Scare Stories Have High Impact: Finally – the late stay scaremongering by Cameron, Osborne and Labour – is likely to win the day, like it did in the last election and the Scottish Referendum. There is likely to be a swing to the “in” in the last few days – as the older worried people come out in force to vote. Regardless – it really will be a cliff hanger and the Tory party are bound to fall out over it - this is just the beginning. For Jeremy Corbyn and Labour – just when it looked the most dire and Labour were imploding, Christmas came thanks to Cameron’s promise of a Referendum to appease UKIP all those years ago! Oh how he must regret that now, but the train has left the station and after the fall out of the referendum, Cameron will be lucky to be in power – with the vulchers circling like Boris Johnston and Michael Gove – his old friends turning to treacherous enemies it seems. It really will be an interesting period in UK history. Boris the next PM? Finally, we think Boris Johnson has thought long and hard about the "in" versus "out" - and he has calculated his best chance of becoming the next Prime Minister is to side with the out campaign, and if he wins - the coast will be clear for his assent to power. He's has certainly gone against his very good friend David Cameron, which to many is regrettable. Boris Johnson is the closest we have t o Winston Churchill - and he has certainly proved through his governing of London that he has the skills and robustness to be Prime Minister. If the UK votes "out" - its quite likely Cameron will have to step aside or will chose to step aside - despite the Tories having done so well to get this far ahead of Labour. At least of Boris is PM, London can rest easy that he will support the financial services sector and housing. Airports: After the referendum - the next big showdown will be over Heathrow Airport (versus Gatwick, Boris Island or do nothing case). For property investors - its probably best the countries stays in the EU for lower borrowing costs, lower inflation, stronger rental demand and higher asset price inflation, particularly in areas outside London.